The family that owns the Ambassador Bridge is apparently trying a new tactic to stop a competing bridge from being built: a TV ad appealing directly to President Donald Trump. 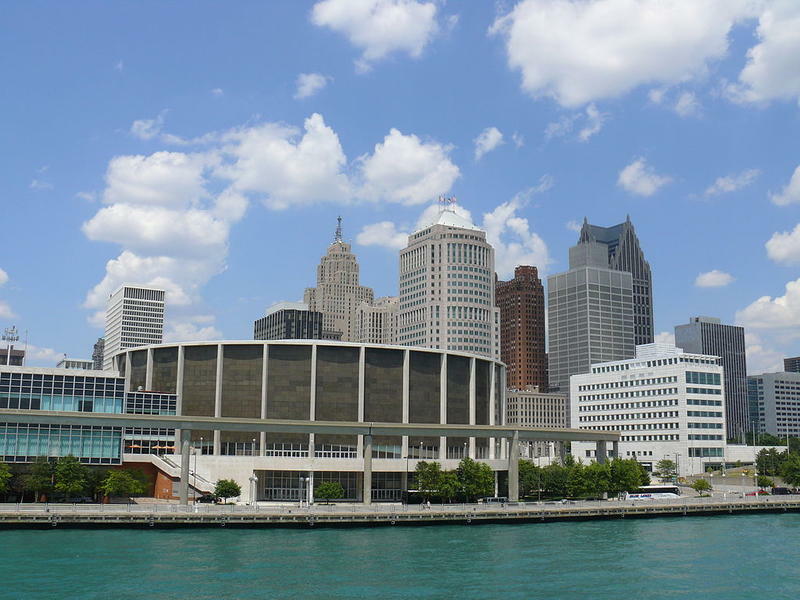 Michigan Democrats will gather at the Cobo Center in Detroit on Sunday for their party's state endorsement convention. These conventions are generally pretty drama-free, but this one could be different. This Week in Review, Weekend Edition host Rebecca Kruth and senior news analyst Jack Lessenberry talk about the bitter race between Dana Nessel and Patrick Miles, who are both seeking the nomination for Michigan's next attorney general. 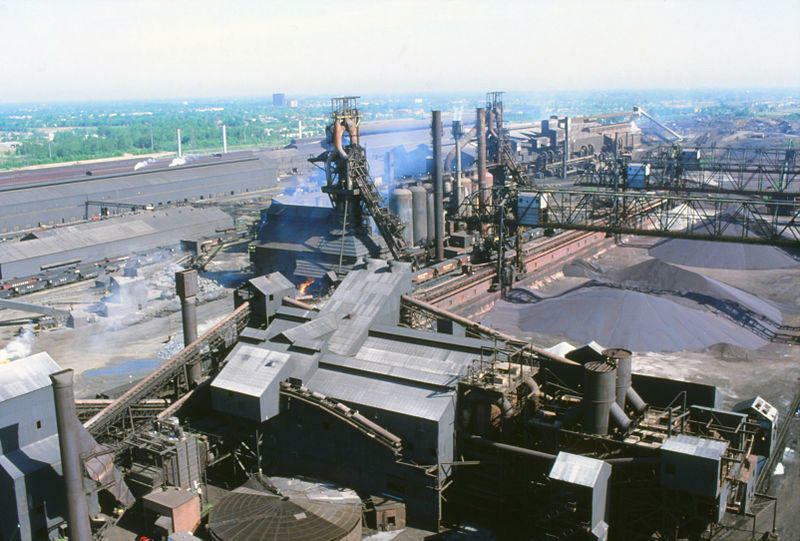 Wayne County is selling the former McLouth Steel plant in Trenton to a company owned by Manuel "Mattie" Moroun. 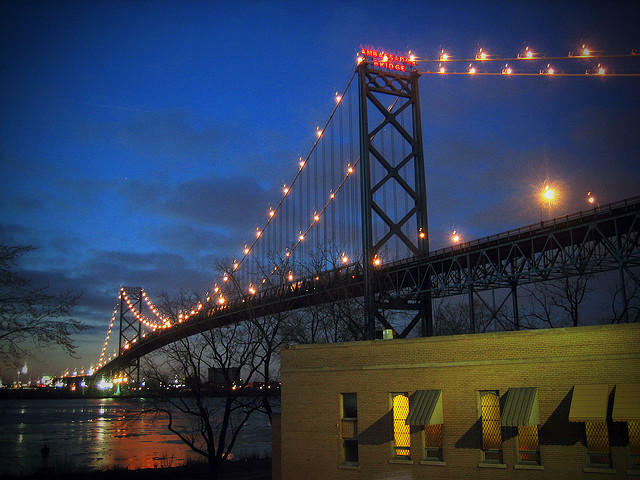 Moroun is the owner of the Ambassador Bridge which connects Detroit to Windsor, Ontario. The sale price for the tax-foreclosed property is $4 million. Crown Enterprises says it will tear down the current buildings and build an automotive center on the site. 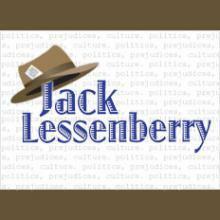 Jack Lessenberry for Thursday, Sept 7, 2017. No matter how bizarre your fantasies, reality is sometimes crazier. Nobody could have written a script for what’s happened in national politics. Nobody ever thought we’d be in some kind of nuclear standoff with North Korea. And few if any expected the Canadian government would ever grant Matty Moroun permission to build a new bridge next to his old Ambassador Bridge. The Michigan Court of Claims has thrown out yet another attempt to stop the Gordie Howe International Bridge from ever getting built. 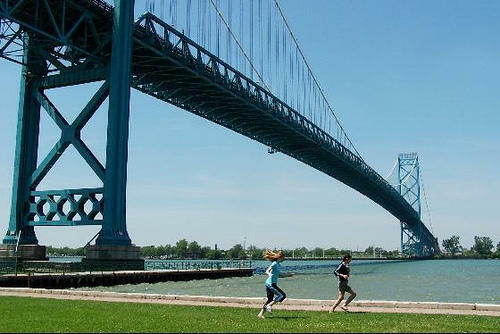 The lawsuit came from a suite of companies owned by the Moroun family, which also owns the competing Ambassador Bridge. The family has tried all kinds of legal maneuvers over the past few years to stop the Howe Bridge in its tracks. 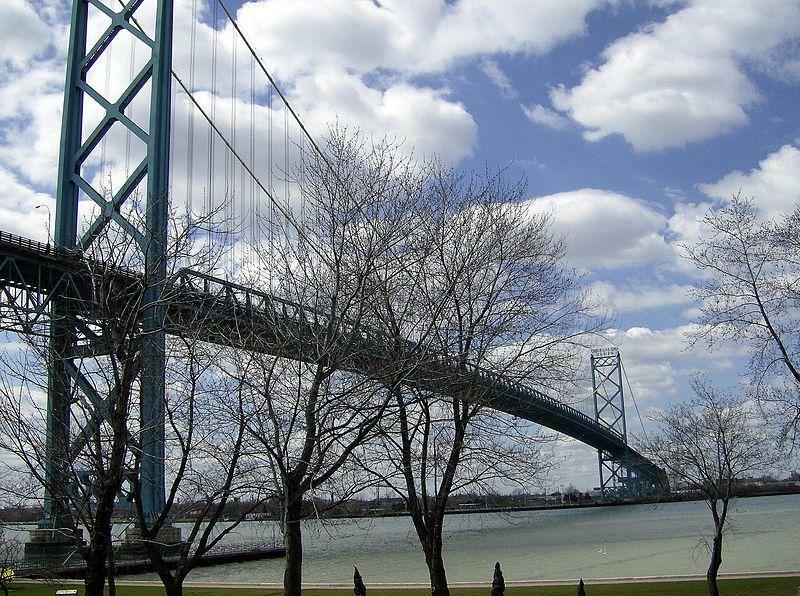 The owners of the Ambassador Bridge in Detroit are suing Governor Snyder and the Michigan Department of Transportation over the proposed new Gordie Howe International Bridge. Former Attorney General Mike Cox is representing the plaintiffs. The lawsuit claims only the state legislature is authorized to approve a new international bridge, and since the legislature didn't do so, the agreement between the Snyder administration and Canada (which is paying the entire cost) is illegal. A spokeswoman for the governor says, "We disagree, and we are proceeding as planned." 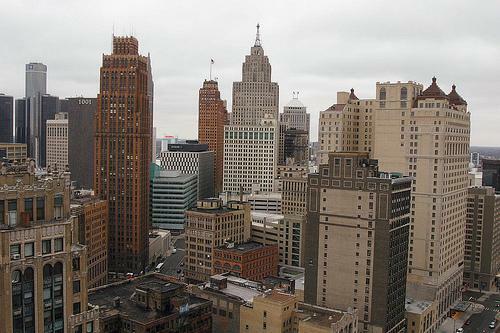 Detroit’s efforts to “re-industrialize” are getting a boost from the federal government. 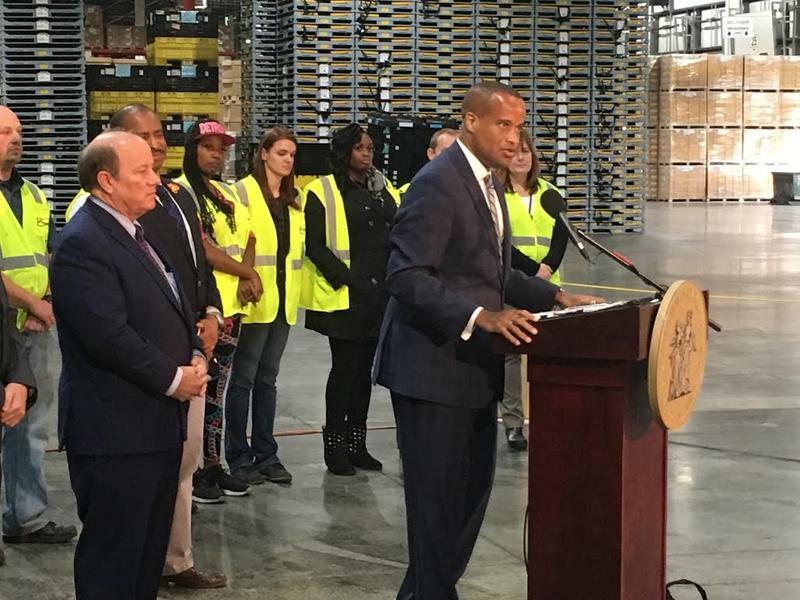 The U.S. Commerce Department’s Economic Development Administration is giving $4.1 million to the city of Detroit and its quasi-public economic development arm, the Detroit Economic Growth Corporation. A little over $3 million will be used to build up infrastructure in and around the long-stalled I-94 Industrial Park. That site has mostly been vacant for more than two decades, after the city cleared a large swath of land on its east side for the project in the 1990s. The state has denied Ambassador Bridge owner Matty Moroun a permit to build a bridge between Algonac and Harsens Island. The island in northern Lake St. Clair is currently only accessible by car ferry or boat. Most residents don't want a bridge, says Rhonda Wyscaver. She's lived on the island for 27 years. "We want to keep the island as peaceful as we can," says Wyscaver, a bartender at Sans Souci Bar. "It's growing by leaps and bounds as it is. But, the way we see it, if you want a city life, live in the city." After years of legal battles and disagreement, peace between the proponents and opponents of the Gordie Howe International Bridge project may be near. Billionaire Manuel (Matty) Moroun, the owner of the Ambassador Bridge, is a prominent opponent of the construction of the Gordie Howe International Bridge, but seemed to express an eagerness to compromise in an e-mail sent to The Toronto Star. Over the years I’ve spoken to a lot of Eastern Europeans, who are in love with freedom, capitalism, and the free enterprise system. They remember what life was like under Soviet-style Communism, and think being able to own one’s own business is the greatest thing there is. However, they do recognize that you do need a thriving, healthy public sector of the economy. 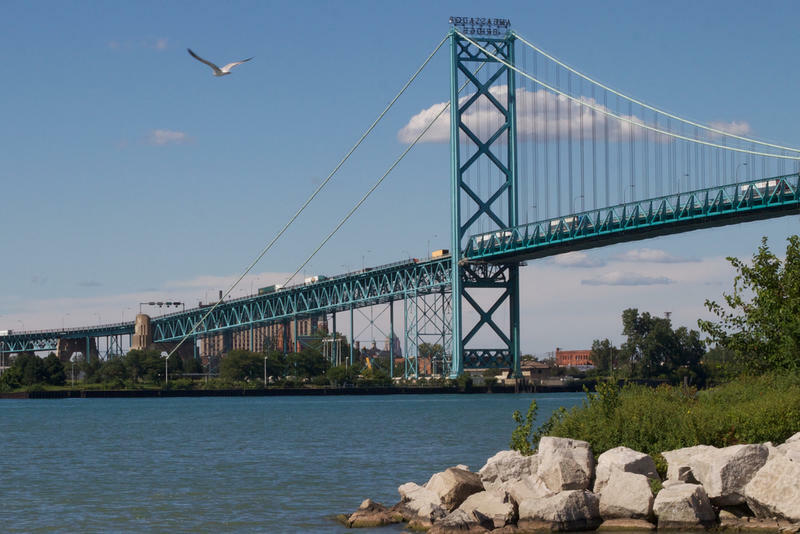 Most people know there are two ways to cross the Detroit River into or from Canada: The Ambassador Bridge, or for passenger cars only, the Detroit-Windsor tunnel. But there's another little-known way only used by vehicles too long or too big to navigate the bridge, or those hauling hazardous materials. And that's the Detroit-Windsor Truck Ferry, which is at the end of a little-used road two miles south of the current bridge, close to where the new bridge is to be built. There has been plenty of legal wrangling over Ambassador Bridge owner Matty Moroun’s desire to block the new Gordie Howe Bridge and build a second bridge right next to the Ambassador. Across the Detroit River, the city of Windsor has taken its complaint with Moroun all the way up to Canada’s Supreme Court. Will anything be done about one of Matty Moroun's most corrupt deals? Most people in Michigan know Matty Moroun as the famous and highly controversial owner of the Ambassador Bridge. For years, the media has covered his ongoing efforts to stop a second, independently owned bridge, a battle he’s apparently lost. This Week in Michigan Politics, Michigan Radio’s senior news analyst Jack Lessenberry and Morning Edition host Christina Shockley discuss a land swap deal between Detroit and the owners of the Ambassador Bridge; the beginnings of a lawsuit over an Enbridge pipeline under the Straits of Mackinac; and how some residents in Hamtramck are getting so fed up with bad roads, they are filling in potholes on their streets themselves. There’s now no real doubt that the new Gordie Howe International Bridge over the Detroit River will become reality. There are still a few parcels of land to be assembled on the Detroit side, and site preparation work needs to be done. The Canadians tell me they still think the bridge will be open to the public five years from now. However, this has not stopped Ambassador Bridge owner Matty Moroun from trying to twin or eventually replace his own bridge. It now looks as though the Gordie Howe International Bridge is certain to become reality. Investors have to be lined up and there is still more work to be done before shovels go into the ground, but all the major political and legal challenges have been overcome. Daniel Howes thinks Canada footing the bill of the new Gordie Howe bridge is embarrassing for both the state and federal governments. Michigan really is lucky to have a friend like Canada and its Prime Minister Stephen Harper. 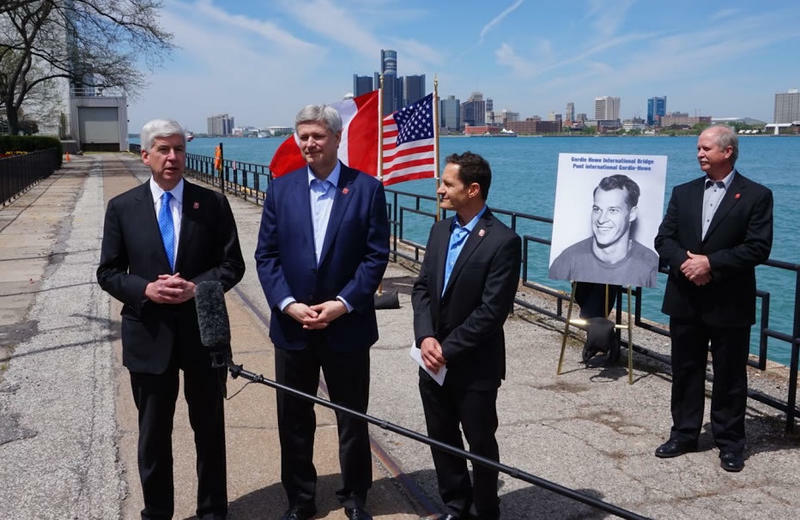 Canada will foot most of the $2 billion bill for building the newly named Gordie Howe International Bridge, connecting Detroit to Windsor. Jack Lessenberry talks about Mayor Mike Duggan's surprising deal with Matty Moroun. Matty Moroun, the 88-year-old owner of the Ambassador Bridge, has one purpose in life: Keeping his monopoly over trade across the Detroit River. To that end he has spent tens of millions of dollars. He’s bought off lawmakers with campaign contributions. Detroit has struck a deal with the owners of the Ambassador Bridge, the Moroun family, which gives the company a strip of city-owned land they need in order to build a second bridge span. 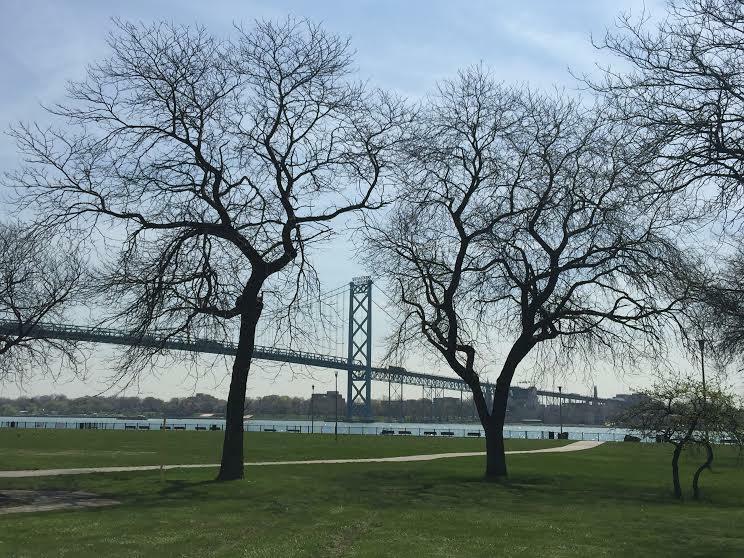 The three acres surrounding the Ambassador Bridge are currently part of Riverside Park on the city’s southwest side. Jack Lessenberry discusses why he thinks the U.S. owes Canada big time when it comes to the new international bridge. This hasn’t been a good week for Matty Moroun, when it comes to his battle to hang on to his monopoly over transporting heavy freight across the Detroit River. 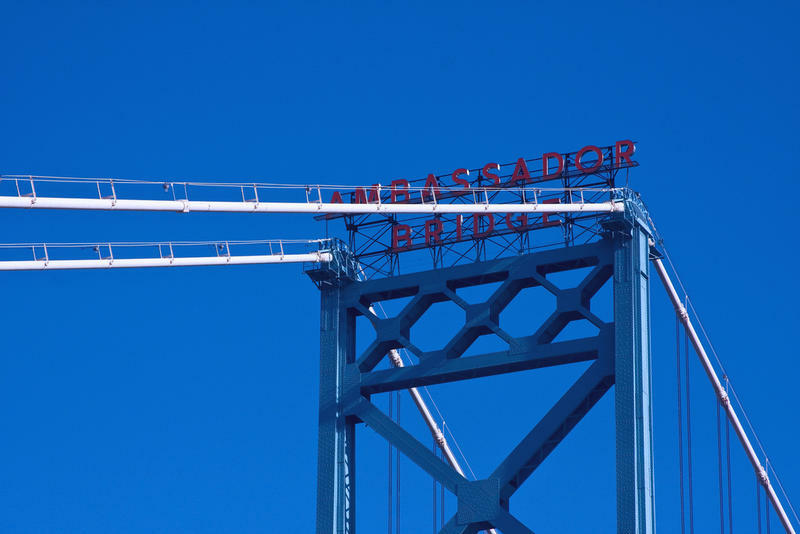 Moroun, who will be 88 in June, owns the Ambassador Bridge, which itself is 85-years-old. Twenty-five percent of all trade between Canada and the United States comes across this bridge. Jack Lessenberry shares his thoughts on Canada footing the bill for the new international bridge. It now seems certain that we will have the needed new bridge over the Detroit River. That’s because Canada is going to pay for it – all of it – up front -- even the U.S. government’s inspection and customs plaza, something that should have been Washington’s responsibility. That became officially clear with an agreement announced yesterday. Canada, which is already picking up all Michigan’s costs, will pay for building our customs plaza too, which will amount to an estimated $250 to $300 million. Four years ago, it looked as if efforts to build a badly needed new bridge over the Detroit River were doomed to failure. Matty Moroun, the now 87-year-old owner of the Ambassador Bridge, had managed to corrupt the Legislature through that form of legalized bribery known as campaign contributions. He poured hundreds of thousands into the campaigns and causes of influential legislators, most notably former Senate Majority Leader Mike Bishop. In fact, as Jim Blanchard, the former governor and ambassador to Canada told me, Bishop broke his promise to the people. He had promised to allow a vote in the state Senate on whether or not to allow a partnership with Canada to build the bridge. This is a bridge, by the way, that just about every business and corporate leader in Michigan agrees we need to stay competitive. Last week, I went to see Douglas George, Canada’s top diplomat in Detroit, mostly to talk about where things stand with the New International Trade Crossing Bridge over the Detroit River. The bridge is now almost certain to be built, but there are a few hang-ups, and one is the concerns of the residents in the Delray neighborhood where the American footprint of the bridge will land. Those who live there want to make sure they aren’t trampled on. Now, they finally are having their voices heard, thanks in part to Detroit’s new system of electing council members by district. Exactly a month ago, Detroit City Council was expected to approve the sale of 301 city-owned parcels of land in that neighborhood to the state of Michigan. Michigan would then buy them with money provided by the government of Canada, and transfer the land to the new International Authority, which is to oversee bridge construction. But the land sale was delayed. 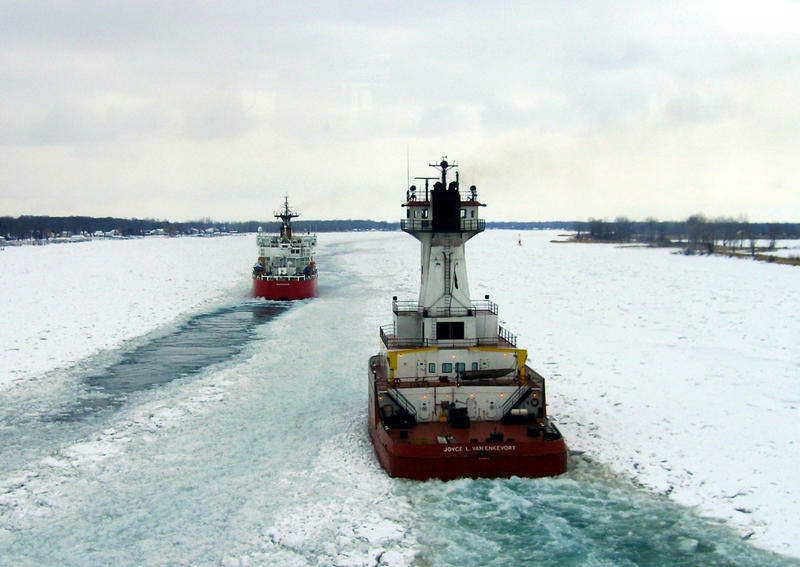 DETROIT -- A federal judge won't stop the U.S. Coast Guard from issuing a permit for a new bridge between Canada and Michigan. The Detroit Free Press reports that Judge Rosemary Collyer in Washington, D.C., disagreed with private owners of the existing bridge, who claim a permit would cause "irreparable harm." It was a defeat Friday for Manuel "Matty" Moroun, whose family controls the Ambassador Bridge and wants to build its own second span. 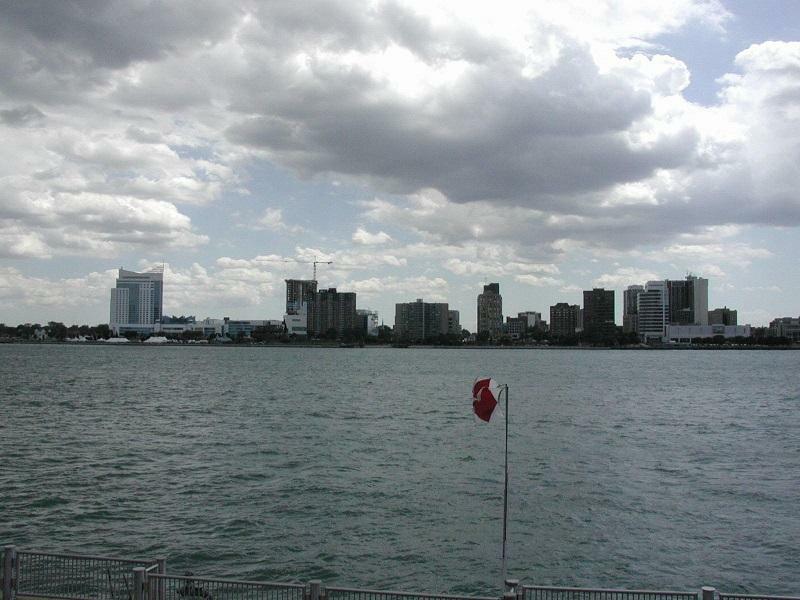 Michigan Governor Rick Snyder and Canada are trying to build a bridge over the Detroit River that would compete with the Ambassador Bridge. Canada is willing to pay for it and be reimbursed through tolls. The Moroun family says the bridge could take up to 75% of traffic from the Ambassador Bridge. So whatever happened to the New International Trade Crossing Bridge? For years, an epic battle raged between those who knew we needed a new bridge across the Detroit River, and Matty Moroun, the 86-year-old man who owned the 85-year-old Ambassador Bridge, the only game in town. Moroun held up a new bridge for years, mostly by buying off Michigan legislators with bribes thinly described as campaign contributions, but that ended when Rick Snyder became governor. Snyder found a way to bypass the lawmakers and conclude an agreement with Canada. That was almost two years ago, however, and ground has yet to be broken. This time the culprit is not Matty Moroun, but, bizarrely, Barack Obama. President Obama has been supportive of a new bridge. There was no difficulty gaining a presidential permit to build it. Money was not a problem, because our friends the Canadians are paying for almost all of it. They are advancing Michigan’s share of more than half a billion dollars, which we don’t have to pay back until the bridge is up and tolls are being collected. DETROIT (AP) - The owner of the Ambassador Bridge is asking a judge to stop the U.S. Coast Guard from giving a permit for a new bridge connecting Michigan and Ontario. Lawyers for the bridge company say it has an exclusive right to provide a bridge between the U.S. and Canada. It wants to build its own second span. The Detroit Free Press says a federal judge in Washington could hold a hearing early in April. DETROIT (AP) - A Canadian official says his government plans to start buying land in Detroit for the U.S. portion of a new bridge linking the nations. It's a way to bypass opponents of the project and overcome the U.S. government's failure to allocate the money. Outgoing Canadian Consul General Roy Norton tells the Detroit Free Press that the project is too important to delay. Canada is paying most of the project's $2 billion-plus cost on both the Windsor, Ontario, and the Detroit sides of the river, recouping costs from future tolls. DETROIT (AP) - Michigan Governor Rick Snyder says a new bridge connecting the U.S. and Canada is being delayed partly because Washington doesn't seem to want to pay for a customs plaza on the American side. Snyder tells the Detroit Free Press it's a "difficult-to-understand attitude." He chalks it up to other similar logjams in Washington but says there's still time to resolve the issue. Canada has agreed to pay for most of the Detroit-Ontario bridge and then get repaid through tolls. But the U.S. government needs to be responsible for a $250 million inspection plaza. What's holding things up with the new bridge? We’ve been thinking a lot about Detroit lately, for obvious reasons. Opinions differ, but pretty much everyone agrees on this: There are too few jobs and not enough money. Unemployment is high, the tax base is low. The city is officially bankrupt. Yet there’s a project out there that should be a huge shot in the arm: The New International Trade Crossing Bridge. Estimates are that it will create at least 10,000 good paying jobs that will last four to five years. Ripple effects from those jobs will create thousands of others, some of which will be permanent. Canada is going to pay nearly all the costs of the bridge and all Michigan’s costs, pumping nearly four billion dollars into the economy. Exactly what the doctor ordered. So … what’s holding things up? In this Week in Michigan Politics, Christina Shockley and Jack Lessenberry discuss a proposal to block abortions from being covered in basic health plans, how Warren Buffett is backing millions of dollars in an initiative to help small businesses in Detroit, and look to next week when Judge Steven Rhodes will decide if Detroit is eligible for bankruptcy.